We offer the best packers and movers in the city as part of our full service moving company. Packing is a tedious task. When hiring Wildcat’s Packers and Movers you can rest assured that we will do the job right. 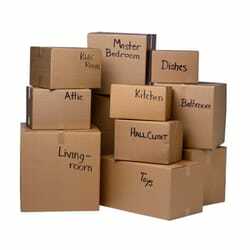 With many years of experience packing boxes we are your go to Full Service Movers. Being that Wildcat Movers can precisely quote the amount of time and materials it will take to move your house. We offer the option between flat rate packing and moving quote or hourly rate pricing. Call Today for a Free Pack and Move Estimate. We will include in your Packing Estimate the rates for dish pack boxes, medium boxes, wardrobe boxes, medium boxes, small boxes, tape, packing paper, and and markers. As always our Pricing is Up Front with No Hidden Fees. If you are looking for a moving company that will pack every last piece of fine china dinnerware, teddy bear, and paintings call the Dallas Packers and Movers with the experience to handle your full service move with no hiccups. Give us a call for a free flat rate moving quote. Plano Packers and Movers – Call the pros at Wildcat Movers for all your Plano moving and packing needs. Addison Packers and Movers – Make your next Addison move the best yet by calling Wildcat Movers. Frisco Packers and Movers – We have the skills to be the best Frisco Movers you have ever hired. Carrollton Packers and Movers – Hire the moving company that knows how to make your Carrollton move a success. McKinney Packers and Movers – Call the friendly professionals at Wildcat to be your McKinney Movers. Allen Packers and Movers – Efficiency is key to being a great Allen Mover. Call the pros at Wildcat today.